How Far is Samskruthi Springdale? Welcome to Samskruthi Springdale to find your dream home. 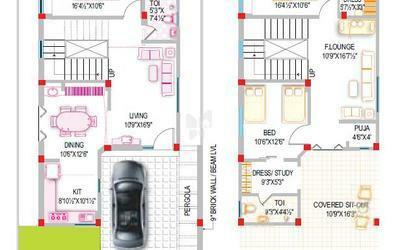 Simply rely on this premium and prestigious contemporary Bungalows’. 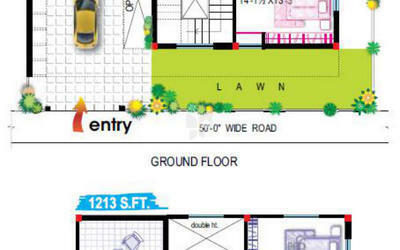 The project is ideally located between Kompally and Bollaram, one of the fast booming residential locale. Within the precincts of these plush Bungalows you find some of the reputed schools, best shopping areas, good entertainment centers and best hospitals. Samskruthi Springdale is strategically located at N.H-7 and Kompally Junction and is very near to Dholari Dhani; a famous tourist destination, and Brundavan colony; a premium residential colony. An added advantage to this particular project is that it is very much connected to MMTS railway network, Bollaram. The added advantage is that this whole venture is secured with Gated community. Light weight mud brick walls. Teak wood frame and panel door with melamine polish and night latch. Teak wood frames with melamine polished teak veneer flush doors with knob locks. Teak wood window frames and shutters / NCL Seccolor windows fully glazed with tinted glass and M.S. designer safety grills and mosquito net shutters. Standard aluminium hardware for all the doors & windows and brass fittings for main door. 2’ X 2’ designer vitrified tiles flooring in all areas with 4” skirting. Granite slab cooking platform with steel sink and 3’ height dado with designer ceramic tiles. Power points for oven, aqua guard etc. Ivory colour I.W.C. / E.W.C. with flush tank and a wash basin in each toilet and roof height designer ceramic tiles dado and anti skid tile flooring. Concealed multi strand copper wiring with sufficient light and power points and provision for A/C in all bed rooms with premium modular switches. CI pipes and fittings for all drainage lines. Concealed CPVC pipe lines and fittings with premium C.P. fittings. Emulsion paint for internal walls with luppam finish in entire bungalow. Weather proof paints for external walls and smooth enamel paint for all wood surfaces and grills. Power backup for motors and common street lighting. Samskruthi Foundations was a sincere effort to offer hassle free, clear titled, comprehensively developed properties with an affordable price. Our constant and committed service has earned us good quantum of a very satisfied clientele. Of course, gaining the trust and confidence of such vast customers was, indeed, an uphill and an onerous task. Honestly putting, such confidence building in the customers could be attributed to several factors such as our impeccable service, painstaking attention to the minutest details, uncompromising adherence to the quality; to name a few. The constant efforts and our sincere services to build, nourish and sustain customers trust have made us to be one of the Hyderabad’s Premier Property Developers. 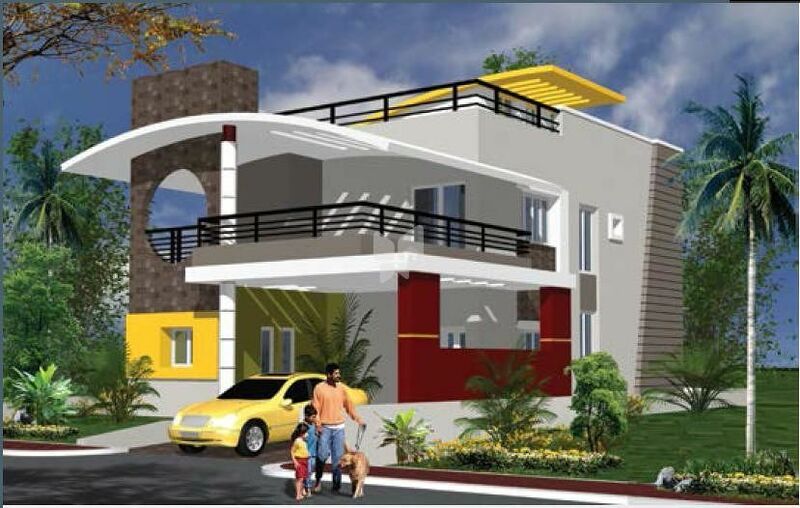 With the backing of considerable projects in our kitty coupled with healthy experience and many successful assignments, now, we can proudly boast, unequivocally, that the search for the dream homes will definitely culminate here at Samskruthi Foundations.